The prevalence of heart valve disease is estimated at 2.5% and this number is likely to increase with the steady rise in life expectancy and associated degenerative pathology. Affected individuals suffer significant morbidity and mortality, and surgical intervention remains the only effective treatment. Disease of the valves can be congenital associated with structural malformations present at birth as a result of disturbances during embryonic valve development. Alternatively, phenotypes can be acquired later in life following sustained exposure to environmental risk factors including high cholesterol, tobacco-use, hypertension and aging, although there is increasing evidence to suggest that embryonic origins may also play a role. 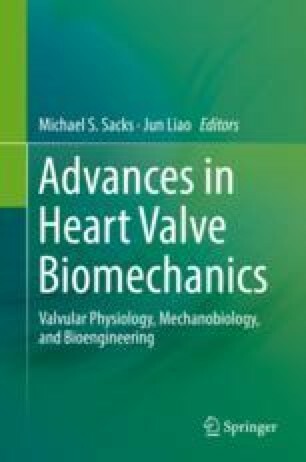 The mechanisms underlying heart valve disease in the human population are largely unknown and this has hindered the development of alternative, more cost-effective therapies. Formation of the valve in the developing embryo is complex and requires the temporal convergence of many signaling pathways in specific cell types. Once the valve structure is established after birth, it must be maintained by additional regulatory networks, many of which are also involved in valvulogenesis. Here, we will highlight the hierarchical pathways known to be essential for establishing and maintaining valve structure–function relationships and discuss how aberrations in their regulation can promote the onset and progression of valve disease. Furthermore, we will focus on how basic science discoveries and tools can provide critical insights into the development of mechanistic-based therapies beyond surgical repair and replacement.